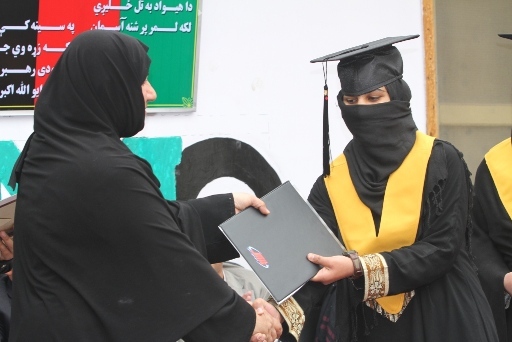 International Women’s Day took on new meaning for more than 200 women and girls in Kandahar, Afghanistan this weekend as they graduated from the Kandahar Institute of Modern Studies (KIMS) — a 1,900 person education institute funded by the United States government. Thirteen students dressed in SAIT Polytechnic caps and gowns collected certificates of achievement in Business Management. 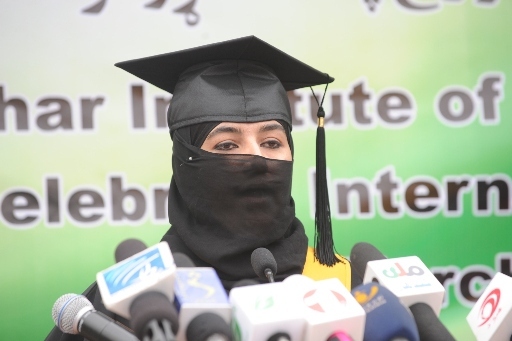 During the ceremony, SAIT graduate and valedictorian Tehmina Abdali emphasized the importance of education for Afghanistan. “Education is more precious than gold. For gold you will have to worry and take care of it, but education will take care of you. Education always empowers, prospers, and builds nations,” Abdali said, while encouraging her fellow students to express sincere gratitude to donors and teachers who helped provide the gift of education. More than 40 students in Afghanistan are currently enrolled in SAIT online courses that include business communications, human resources management and leadership. SAIT has partnered with the Afghan-Canadian Community Center (ACCC) and KIMS since 2007. ”The USG is proud to take part in this superb endeavor, bringing the hope represented by education and economic opportunity to girls and women in Kandahar, where they face some of the greatest challenges in the world”, according to Kandahar Provincial Reconstruction Team Director Brian Bachman. Ryan Aldred, President of the Canadian International Learning Foundation, who provides technical and financial support to this education initiative, says individual donors and institutional partners have made a tremendous difference in the lives of Kandahar women. Director of Women Affairs Roqia Achackzai, Kandahar Provincial Council Member Maryam Durani, Information and Culture Director Dawa Khan Minapal, Kandahar Radio Television Manager Noorullah Noori, Afghanistan Independent Human Rights Commission and UNAMA representatives, Kandahar journalists, Kandahar schools principals, civil society members and parents attended the event. Inspiring speeches were delivered to mark the achievements of women. The speakers said they were impressed by the remarkable achievements KIMS/ACCC/ALDO had made. 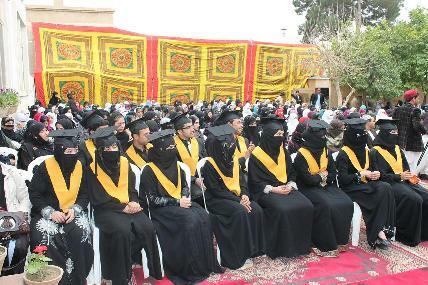 They praised the efforts of these institutions in providing girls better education, information and job opportunities. 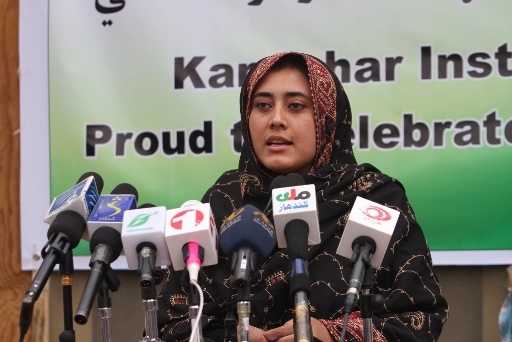 They said they were grateful to the governments and people of the United States of America and Canada for supporting Kandahar women. Gifts of kitchen sets, stationery, clothes and school bags were distributed among the participants. 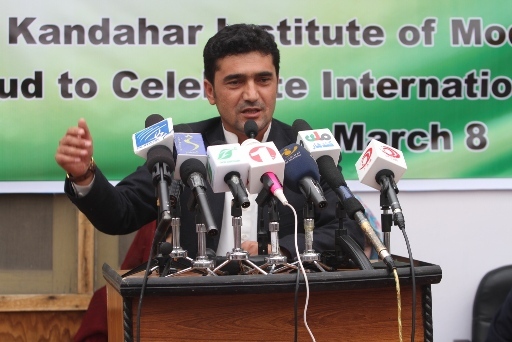 These had been generously donated and prepared by UNHCR, Kandahar Municipality, UNAMA and KIMS. The graduates and guests also enjoyed refreshments, all of which were arranged by the KIMS contributions. and last but not least, the parents of the women who supported them in this arduous journey .